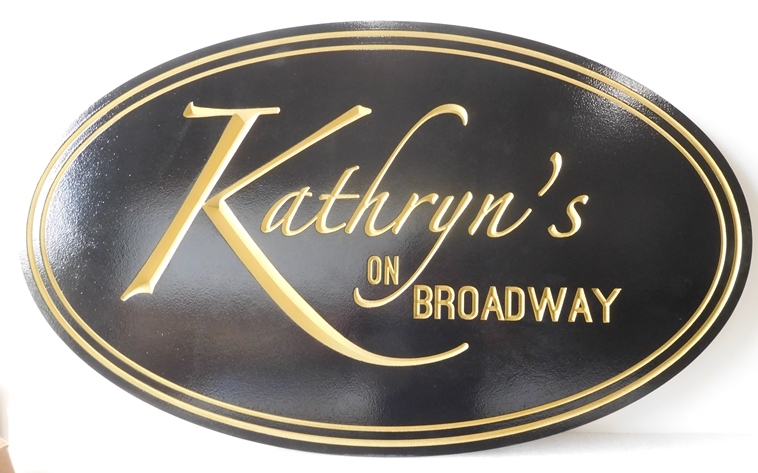 This beautiful and elegant, yet simple, carved High Density Urethane sign is very suitable for a high end women's clothing store, "Kathryn's". Script text and border are engraved and painted with metallic gold paint. This sign was made with our CNC router. It can be mounted on a wall or hung from a wood or iron hanger.